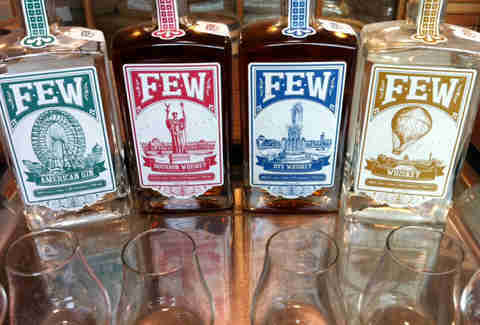 Fun Fact: Four boutique distilleries've popped up recently around the Chicago area -- including literally-just-opened Rhine Hall -- which'll bring the total number of local hooch-slingers that'll let you drink in their distillery to eight by the end of the month. Way-Funner Fact: Most of them do tours and super cheap tastings (sometimes free, if you sound interested in buying a bottle). 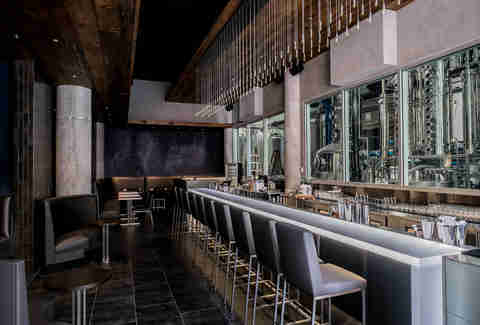 Funnest-Of-All Fact: We've put together a definitive guide to drinking at every single last one of them, plus a bonus sneak-peek at Chi's newest booze-dition. 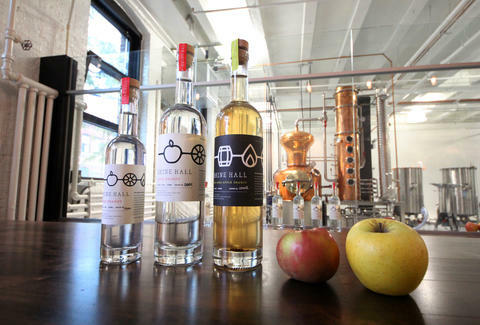 Founded by a father-daughter, Rhine Hall -- which takes its name from the Austrian ice hockey rink where Dad played professionally in the 1970s -- uses 7-10,000lbs of apples hauled from Bixby Orchards in Michigan to create an Austrian-inspired apple brandy that isn't related to Snoop Dogg. 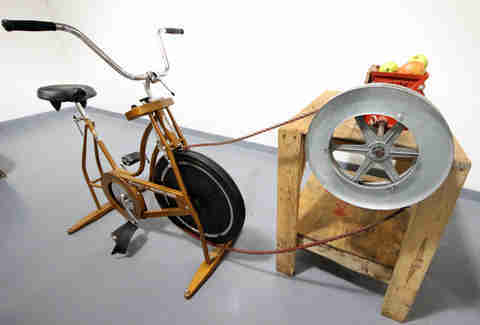 Rhine's seasonal blend of apples are chopped and mashed in style, by using a vintage exercise bike. Bike-powered mashing for the Schwinn! 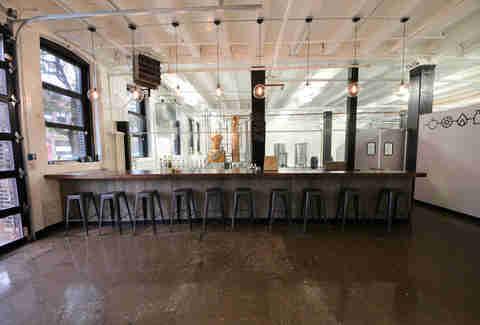 Brandy moves from a copper distiller named Stanley (after the good Lord himself), and into bottles and/or cocktails sold on-site. This Bixby’s Double mixes apple brandy with house-made cider and Angostura bitters on ice with landing-stripped shaved cinnamon. 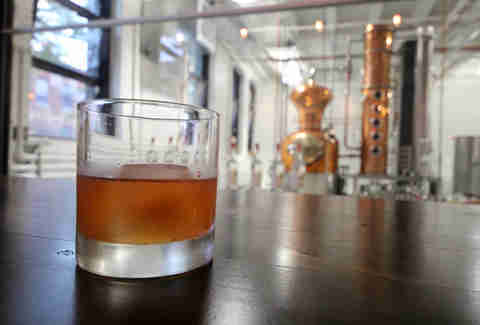 After finishing a tour with iced shots, pull up a seat to Chicago’s first distillery/bar hybrid for cocktails that're made in-house start-to-finish, and for an Eastern European small plate menu. Like you in that Super Nintendo Donkey Kong game when you were trying to cannon-fire yourself across the level, Few’s aged gin and whiskey're housed in... barrels! Pro tip: ask about the specialty micro batches. 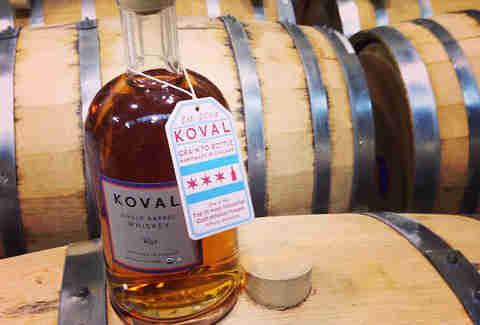 This kosher, small batch distillery offers regular tours that include samples of each of Koval’s products, as well as a shop with daily tastings and cocktail demos with demo'd cocktails that will need drinking. 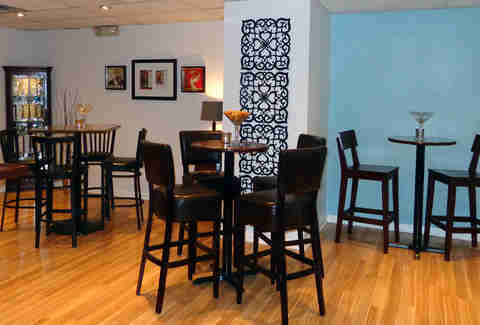 North Shore + Weekend-Only Cocktail Bar + Little Green Drinkable Fairy = Yes, please! 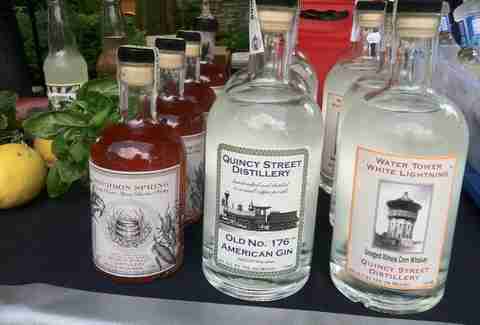 Moonshine gets a bad rap as bathtub booze that will probably leave you blind, but Quincy Street has more respect for your eyeballs, distilling a limited run of 'shine with corn mash and honey as well as a mead with prairie wildflower honey for you Beowulf fans out there. 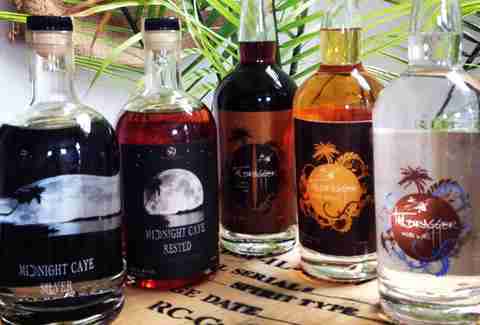 Their 5,000 sq ft production facility appropriately dubbed "The Hangar" also has a shop and tasting room to sample three rums (including a seasonal coffee variety) and a pair of agave spirits that are technically not allowed to be called tequila as per cartel orders Mexican law. 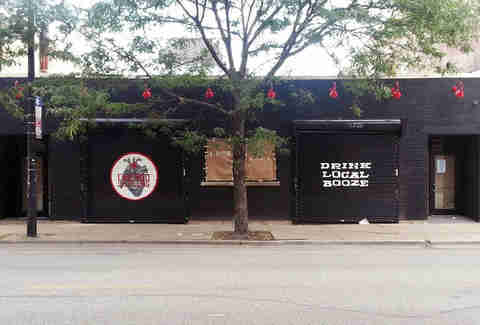 Opening on the boom-goes-the-dynamite-ing Milwaukee block in Logan, this cocktail bar + distillery will feature a tasting room with space for 70 to try their grain vodka and barreled whiskey, either straight-up or with house infusions and mixers.